We have been working with Build Beacon on ways to keep neighbours and the public informed about works on small residential projects. 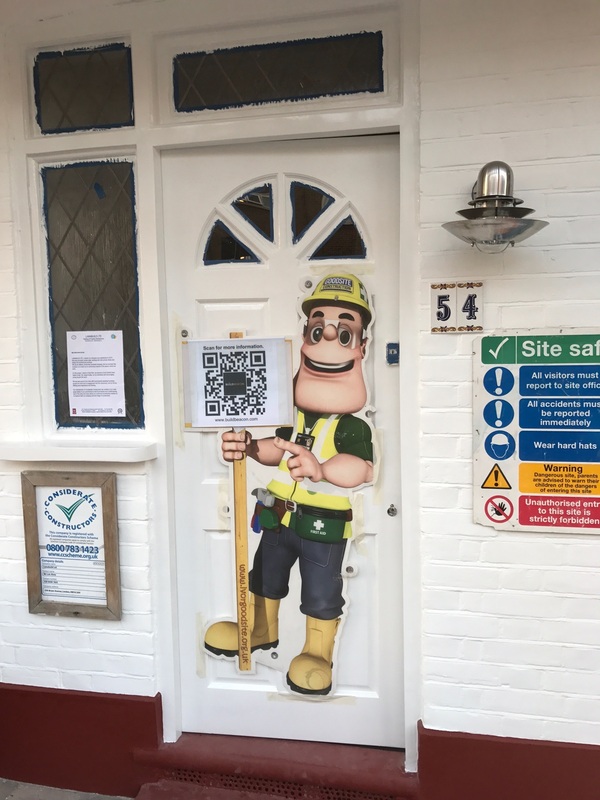 Our QR code is displayed by Ivor Goodsite giving information about the Considerate Constructors Scheme, the works being carried out and company contact details. To find out more click below. Regular communication is vital to keep residents updated and to minimise frustration. Inappropriate behaviour and litter indicate a lack of respect and are frequent sources of complaints. It is good practice to have a detailed complaints record, to recognise problems and show they are openly dealt with and effectively resolved. Sites are often a temporary but intrusive part of the community and care is required to minimize impact.